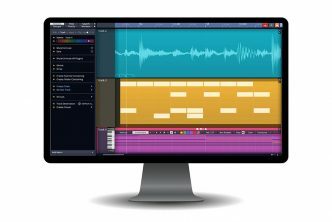 Celemony Software GmbH, Munich, 02.10.2018 Celemony is proud to present Melodyne 4.2 which introduces tighter integration with Logic Pro X 10.4.2. 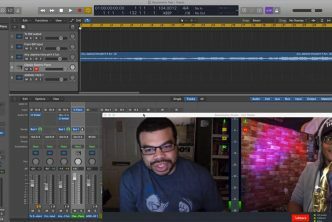 With both apps using ARA technology, Melodyne can be used more seamlessly as part of the Logic workflow. Numerous other details have also been improved (also for other ARA and non-ARA DAWs), so the free update is recommended to all Melodyne 4 users. ARA Audio Random Access™ allows a DAW to work with Melodyne to exchange information about the audio file, pitch, rhythm and other attributes, making the workflow feel less like a plug-in, and more like an integrated feature. With ARA in supported apps like Logic, all changes to your song structure, like moving, looping, copying or comping tracks and regions, are reflected in Melodyne. This significantly streamlines the editing and creative process for users of both products. Open tracks without transfers: Load Melodyne as an insert effect, start playback and the entire track will appear automatically in Melodyne. There is no further need for transfers. 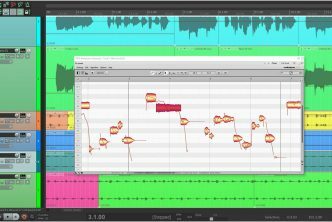 Melodyne follows all changes you make to the track: Melodyne compares its contents to those of the audio track and accurately replicates any lengthening, shortening or movement of regions. Region-based mixing: Regions edited with Melodyne now support all the mix functions of the region inspector in Logic: gain, mute and fades. Takes & Quick Swipe Comping: Now you can edit takes with Melodyne before committing yourself to a choice between them, which gives you a more realistic assessment of their respective merits, leading to better results. Removes need for transfer files: Thanks to ARA, there is no longer the need to manage and keep transfer files, archive them or pass them on to collaborators. The ARA integration of Melodyne and Logic requires the latest versions of both programs: Logic Pro X 10.4.2 and Melodyne 4.2. 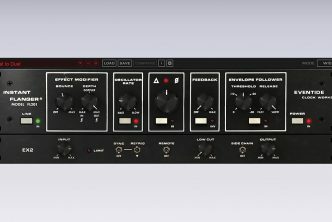 More info: www.celemony.com/melodyne-update. Celemony is the pioneer and market leader in the musical, note-based editing of audio. The company’s principal product, Melodyne, inaugurated this type of audio editing in 2001, established itself in the intervening years – for vocal editing in particular – as the standard worldwide, and has gone on pushing out the envelope in innovative audio editing ever since to the limits of what is technically possible. In 2008, for example, Celemony presented its patented DNA Direct Note Access™, which extended Melodyne’s editing capabilities to polyphonic audio material – right down to individual notes within chords. Other important technologies developed by Celemony include the musically intelligent restoration tool Capstan, the pioneering plug-in interface ARA Audio Random Access™, the unique Sound Editor introduced by Melodyne 4 and – another Melodyne 4 revelation – Multitrack Note Editing, which facilitates the simultaneous, note-based editing of an unlimited number of audio tracks. Melodyne and Celemony have won numerous awards – among them, in 2012, the Technical Grammy.